Intermittent fasting – also known as time-restricted eating – is a dietary routine that involves periods of time when you fast (no food is consumed) or when you limit food consumption (eating only during designated time periods). Intermittent Fasting (IF) is receiving positive reviews from the health and medical community because of its ability to help regulate metabolism, and the research studies showing a wide range of health benefits. Reduce or eliminate digestive issues, including irritable bowel syndrome (IBS), diarrhea, constipation, and colitis. This benefit is also due to the correlation between Intermittent Fasting and reduced inflammation. Reduce heart disease risk, by improving HDL (good cholesterol) levels and lowering triglyceride levels and blood pressure. Eliminate or reduce cravings and emotional binge eating. According to those who regularly engage in Intermittent Fasting, they see food differently and begin to control their relationship with food – instead of food controlling them. Help you lose weight, and keep it off. Intermittent Fasting for 12 to 16 hours (see typical IF time periods in the next section) gives your digestive system a rest, during which time your body recognizes that it’s fasting. This helps keep your insulin and blood sugar levels from spiking and regulates your metabolism by telling your body to burn fat more effectively. Maintaining a healthy weight reduces your risk of diseases influenced by obesity and inflammation, such as heart disease and diabetes. Slow the aging process. Intermittent Fasting generates “healthy” stress, which can help your body detox and eliminate unhealthy cells. 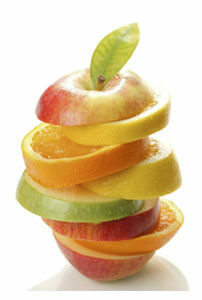 This also helps protect your healthy cells from damage, which in turn can slow the aging process. 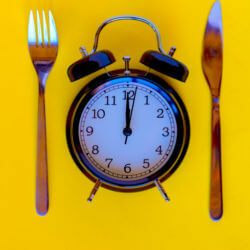 Time-restricted fasting — eating only within specified hours of the day, such as 10 a.m. to 6 p.m. This is considered a 16-hour fasting window, and it’s my personal favorite. I try to do it several times a week. If 16 hours seems too challenging, try the more common time period of a 12-hour fast. For example, that means you would eat only between the hours of 7 a.m. and 7 p.m., giving your body 12 hours to rest between your last meal of the day and your first meal the next morning. With any Intermittent Fasting protocol, drinking plenty of water is essential. I recommend drinking half your weight in ounces of water each day. So, for example, if you weigh 140 lbs., you’ll want to drink 70 ounces of water a day. 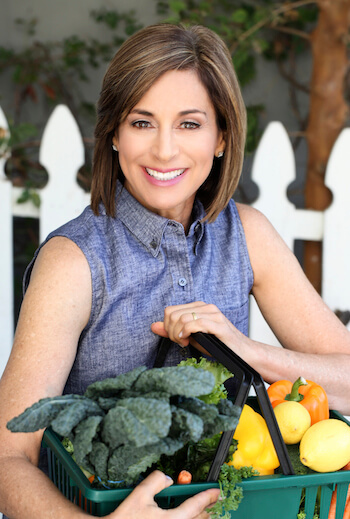 If you would like to learn more about Intermittent Fasting and its potential benefits in helping you achieve your health, weight and wellness goals, I’d love to talk further! Feel free to email me or visit my website to learn more about my programs.